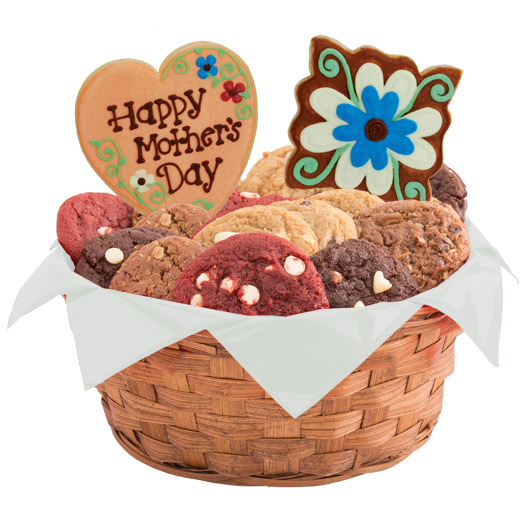 Nestled in an assortment of fresh baked gourmet cookies, these vintage inspired cookies for mom make the perfect basket for Mother’s day. 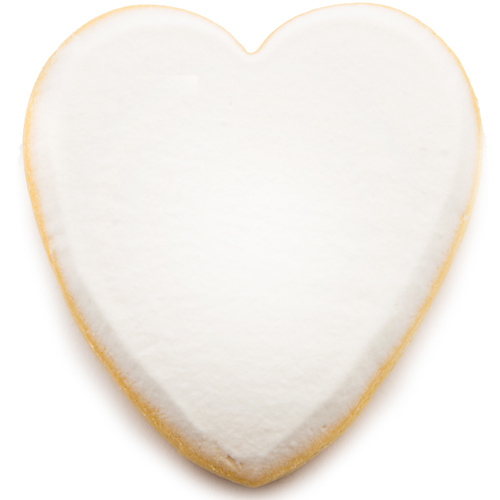 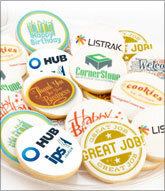 Show mom she is special with this simple and timeless treat. 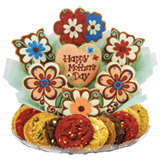 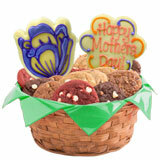 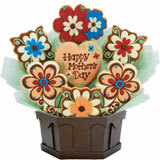 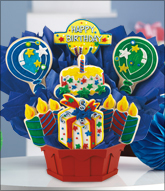 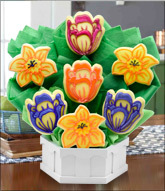 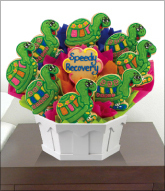 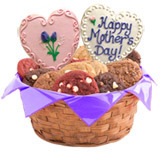 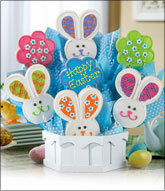 This basket for Mother's Day can be ordered with one or two decorated cookies on sticks and one or two dozen gourmet cookies.